Reborn in body and spirit beneath Mount Deathfire, the primarch Vulkan gathers his most trusted sons and prepares for the final part of his journey. The Legions shattered at Isstvan V have stalled the Warmaster’s advance across the galaxy, but fresh cracks are spreading through the alliance between the Iron Hands, Salamanders and Raven Guard, along with mysterious rumours of the return of Ferrus Manus. 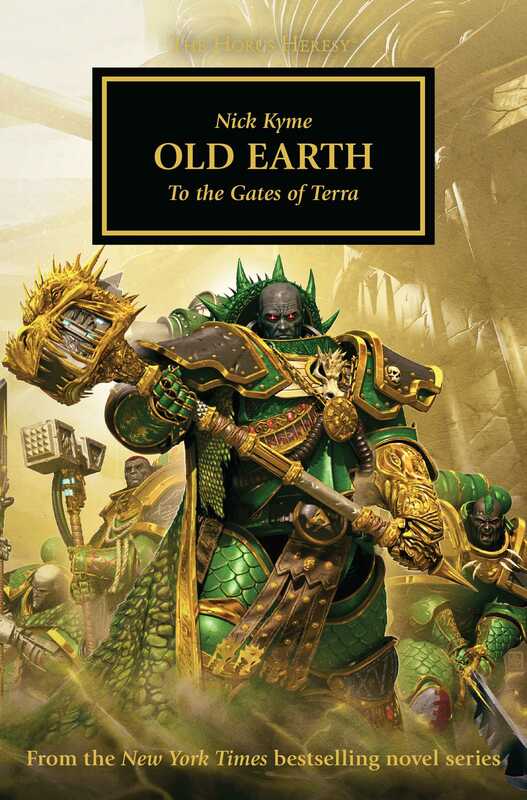 Haunted by a sense of destiny unfulfilled, Vulkan must choose between joining their war of vengeance against the traitors, or following his own barely understood path all the way to the Throneworld itself. Nick Kyme is the author of the Horus Heresy novels Old Earth, Deathfire, Vulkan Lives and Sons of the Forge, the novellas Promethean Sun and Scorched Earth, and the audio dramas Red-marked, Censure and Nightfane. His novella Feat of Iron was a New York Times bestseller in the Horus Heresy collection, The Primarchs. Nick is well known for his popular Salamanders novels, including Rebirth, the Sicarius novels Damnos and Knights of Macragge, and numerous short stories. He has also written fiction set in the world of Warhammer, most notably the Warhammer Chronicles novel The Great Betrayal and the Age of Sigmar story ‘Borne by the Storm’, included in the novel War Storm. More recently he has scripted the Age of Sigmar audio drama The Imprecations of Daemons. He lives and works in Nottingham.